Once, tens of millions of American bison roamed the Great Plains before overhunting nearly drove them to extinction in the late 19th Century. Today, they are making a comeback on both private and public grasslands. There are a number of places on the Great Plains where visitors can get close to these majestic giants. The Crane Trust is a non-profit organization dedicated to protecting habitat for whooping cranes, sandhill cranes and other migratory birds. So how does the American bison fit in? It turns out that bison have an important role to play in maintaining healthy, crane-friendly habitat in the Platte ecosystem through their grazing practices. 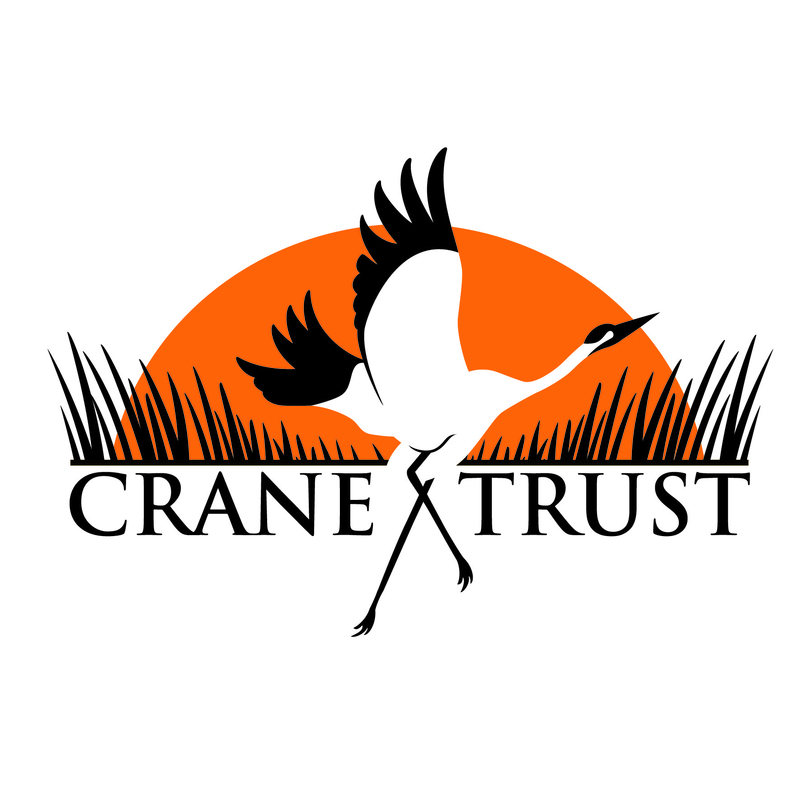 The Trust is gradually introducing herds to both Shoemaker and Mormon Islands and researching the effects on key ecological processes as they relate to crane habitat. Visitors can learn about the effort and see a small exhibition herd behind the visitor’s center. 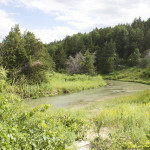 The Nature Conservancy’s Niobrara Valley Preserve is described as the “biological crossroads” of the Great Plains, noted for its extensive species biodiversity at the meeting of pine-clad canyons, extensive grasslands and river ecosystems. Also a working ranch, the Preserve is regarded as a model for grassland management using bison, cattle and fire. Year-round public use areas include a new hiking trail with grand views of the Niobrara River. 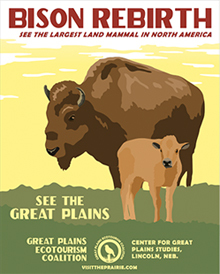 Visitors can also see two bison herds grazing the vast open prairie. 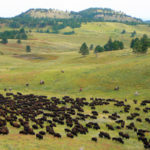 Custer State Park, located in the Black Hills of western South Dakota, is home to nearly 1,300 bison – one of the country’s largest publicly owned herds. There’s an annual roundup where visitors can watch staff do animal testing, branding, and sorting. 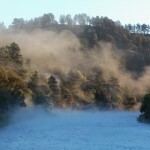 Fort Robinson is described as Western Nebraska’s premier state park, with beautiful Pine Ridge scenery, exceptional lodging, rich old west history, and many summertime activities. 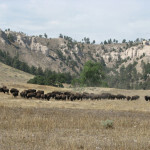 Visitors to Fort Robinson can often catch a glimpse of the bison that roam the Park’s 22,000 acres. 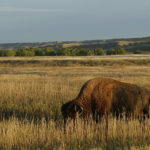 They are managed by the park as grazing animals, working the pasture lands, as well as providing unique table fare for the Fort’s restaurant – bison burgers and steaks are popular menu items.